Welcome to Mrs. Simoneau's New Website. If you have a question about a grade (either on an assignment or in Parentlink) or want to get your make up assignments SEE ME IN CLASS. If you are a parent please have your child see me and then if the issue has not been addressed, then email me. 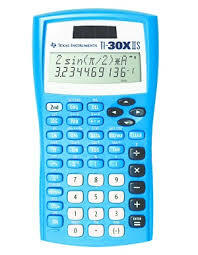 Scientific Calculator- I like the TI 30 pictured here, but you may purchase or use any calculator that does multiple functions, exponents, and logs. 100 page spiral notebook- You might be able to get away with a 70 page notebook, but don't rip a single page out. 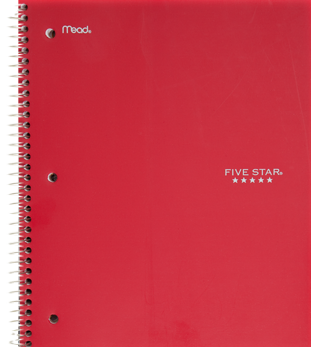 I really like the Mead 5 Star notebooks because the covers are more durable than most. You'll need 1 for each semester. This website holds information for my Chemistry courses at Foothill High School, ECOVision (FHS's Environment Club), and the JV Women's Soccer team.